– Although chickweed is generally considered safe for most adults to use, side effects of chickweed use include common symptoms of stomach upset, including nausea and vomiting. – Because chickweed extract has such a naturally high concentration of nitrates, it is possible to suffer the symptoms of nitrate overload if you have a lot of chickweed in your system. – People with allergies to the daisy plant family are more likely to suffer from chickweed side effects. – Chickweed is often used for its soothing properties on skin irritations like rash, bug bites, eczema and inflammation, and can occasionally cause a skin reaction similar to contact dermatitis in people with sensitive skin. 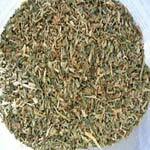 – Pregnant or nursing women should not buy chickweed tea for their own use, as there are not enough studies to show that chickweed is safe for pregnancy. If you are considering the many chickweed tea benefits for your own use, be sure to do your research and get all of the information about chickweed uses, dosages, forms for consumption and side effects. While it is true that chickweed is considered to be a safe herb and chickweed side effects are mild and rare, it’s best to get the full picture before proceeding with any herbal supplement.